Make people see how adorable your baby is on your Google Plus page at the first sight. 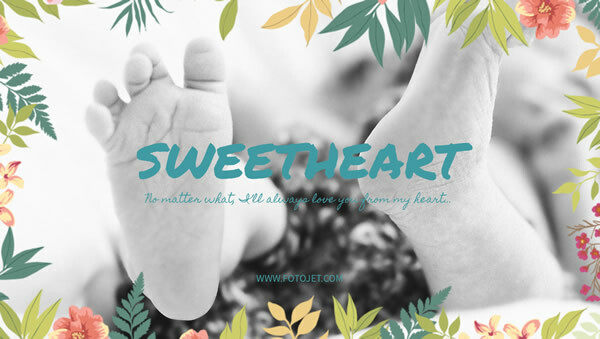 Use FotoJet to create an adorable Google Plus cover photo and make the whole process simplified. This editor enables everyone to design custom Google Plus photos easily and fast. Even if you are not a designer, you can create professional Google Plus images in a short time. Just apply these easy-to-use editing tools and abundant art resources to make your social media page sweet and attractive.